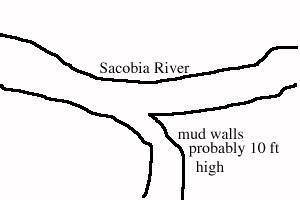 This looks straight down onto the Sacobia River, facing south, with the Mactan Housing Area just beyond the top of the frame. 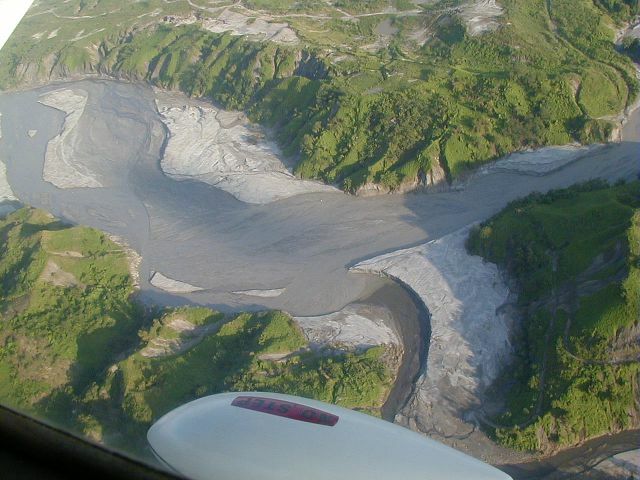 The heavy pyroclastic mud deposits line the river. Want to correct or clarify information about this photo? Send an E-mail to clarkairbase@clarkab.org. Mention you are referring to page "a35.htm".